Already a patient? Bring in someone new and your exam will also be free! 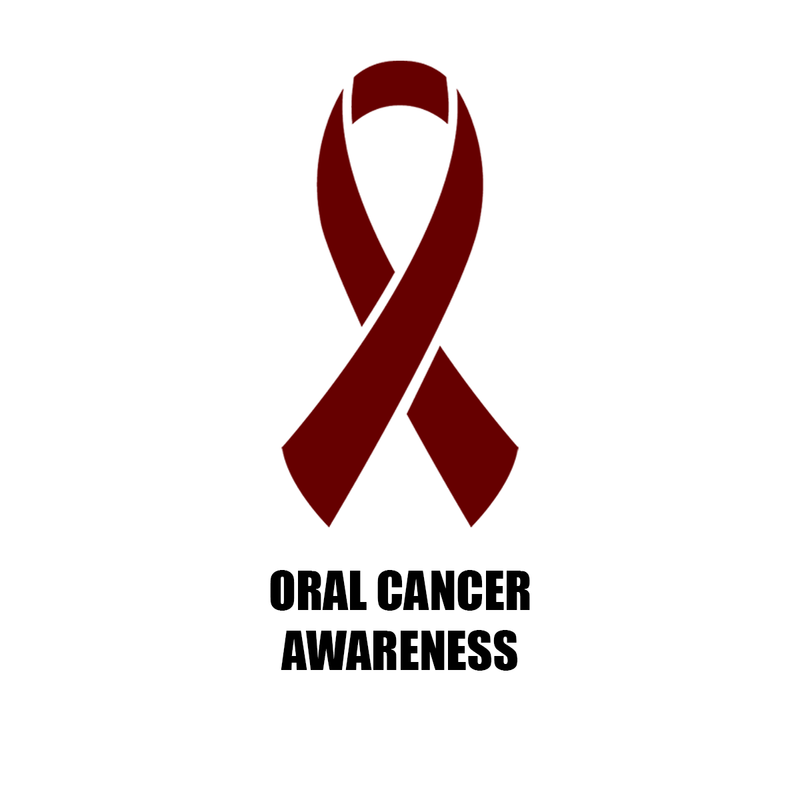 Every hour, of every day one American dies of oral cancer. 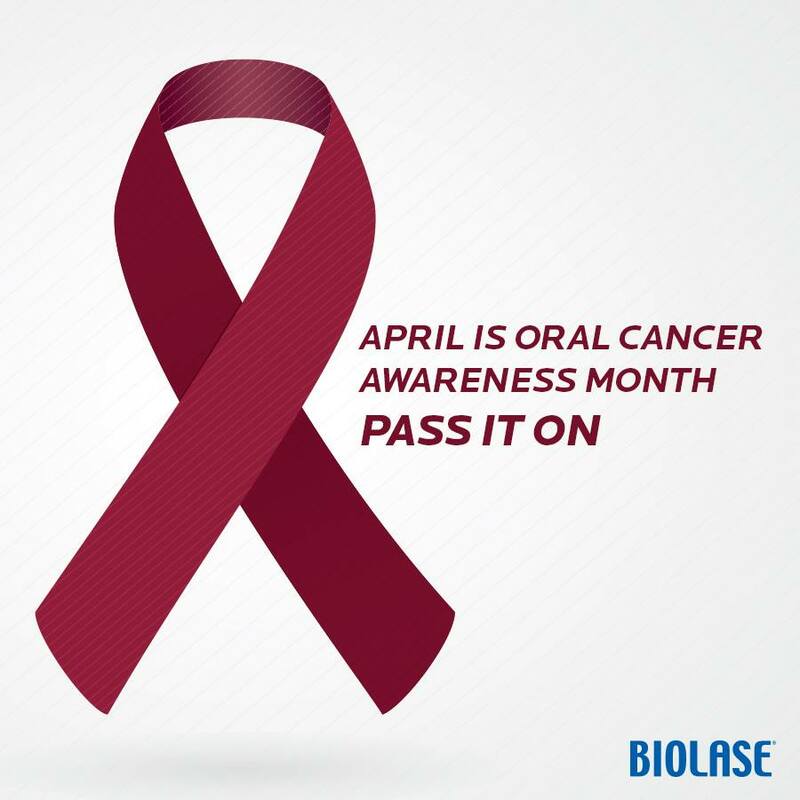 It is assumed that Oral Cancer is mainly a disease of older people, contracted after a lifetime of smoking and drinking. But things are changing and Dr. Korenman is seeing an increase in Oral Cancer in patients of all ages and lifestyles. Don’t feel immune because you don’t smoke or drink. 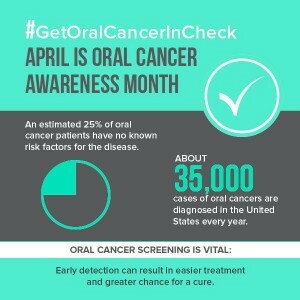 Dentists are often the first line of defense against oral cancer, through the process of early discovery. They help find cancer at its earliest stage, when the chances for successful treatment are highest. 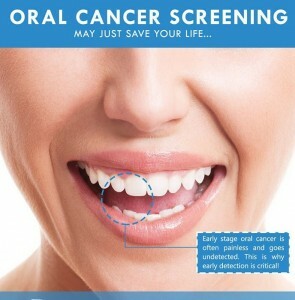 An Oral Cancer Screening takes less than 15 minutes and should be a part of everyone’s annual health appointments. Dr. Korenman uses the ViziLite Plus, which is a 5-minute test that uses fluorescent light to help dentists spot abnormal changes in the mucous membranes that line the inside of the mouth an d throat. 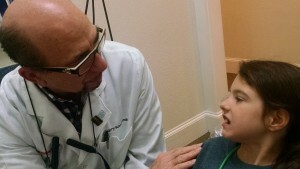 Additionally, Dr. Korenman will go over the patient’s medical history, check for any discolorations (red spots, white spots, ulcers etc) and/or abnormal lumps around the oral tissues (cheeks, hard palate, tongue, floor of the mouth, back of throat etc), face and neck. 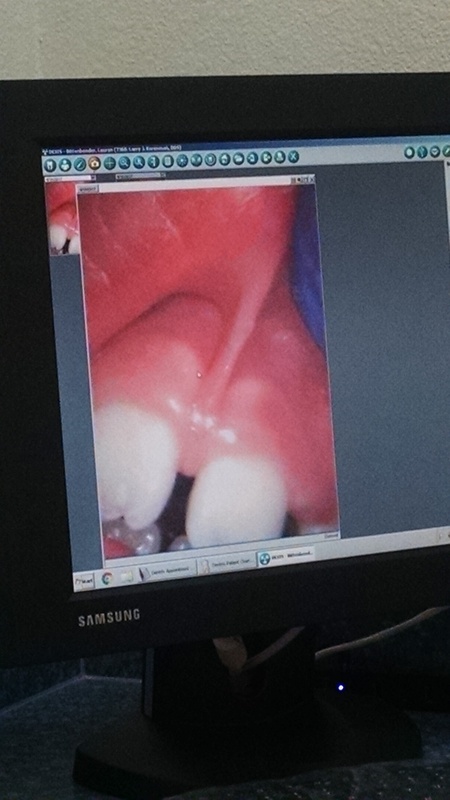 We simply use a 2×2 gauze, mirror and a special light to inspect the oral/pharyngeal area. We will palpitate/massage the neck and throat area to check for any abnormal lumps (checking the Thyroid area as well). The entire screening takes less than 15 minutes and is completely painless. 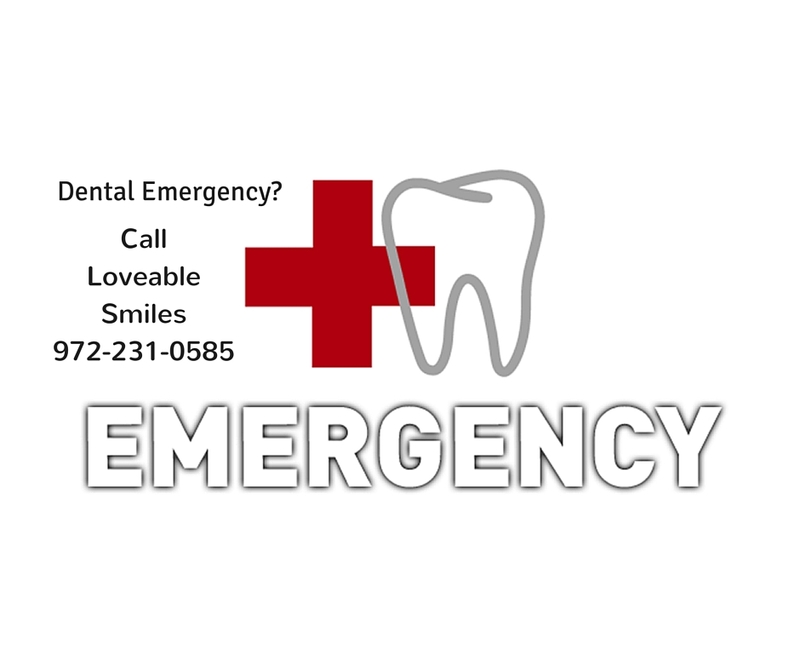 Loveable Smiles is located at 1410 N. Plano Rd., Suite 200 in Richardson. 75081. 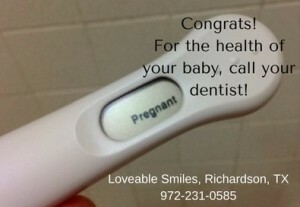 I am a busy mom of 3 and today I made the time to get an Oral Cancer Screening at Loveable Smiles in Richardson. I am not a smoker or a drinker but this is an important health screening. Oral Cancer is on the rise and since multiple types of Cancer run in my family, I wanted to take advantage of this simple screening. The first thing I had to do was swish with the ViziLite pre-rinse solution. It was a little vinegary, but not bad. Then Chessa the hygienist used the fluorescent light to help spot any abnormal changes. She was very thorough and looked in all the “oral cervices” where Oral Cancer likes to hide: under my tongue and in between my cheeks and gums. She then palpitated/massaged my neck and throat area. Dr. Korenman then came in and checked as well. He also used the fluorescent light and checked my lymph nodes for any tenderness or abnormal lumps. The entire procedure was completely painless and took less than 15 minutes! I am happy to report that I am Oral Cancer FREE! 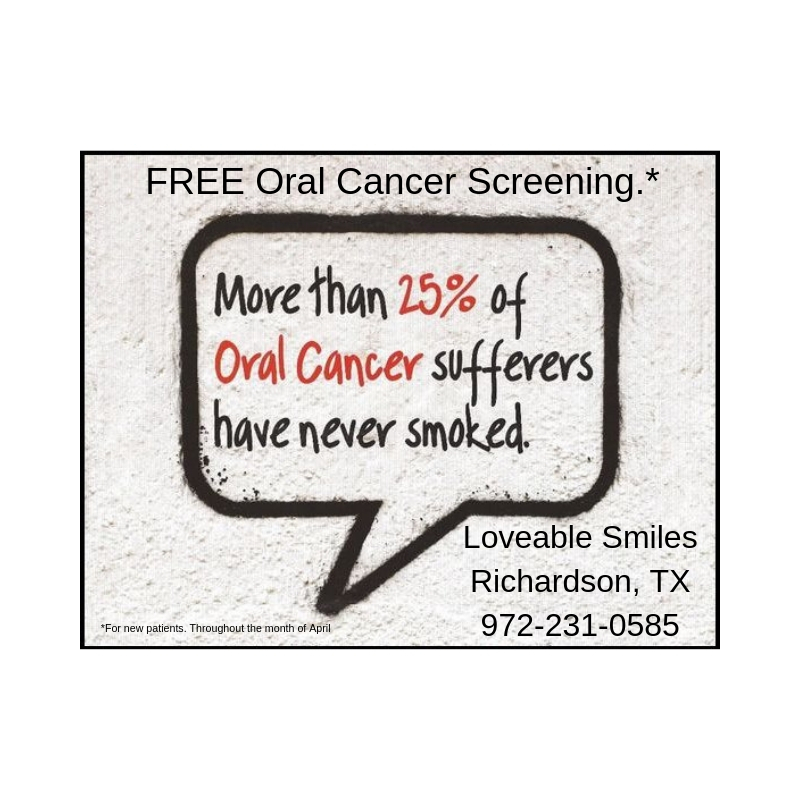 I highly encourage you to schedule your free Oral Cancer screening at Loveable Smiles. So many Cancers are much more treatable when they are caught early. This simple procedure can give you peace of mind! 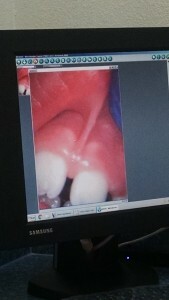 Today my 7 year old daughter Lauren had an upper lip frenectomy at Loveble Smiles in Richardson. She has a gap in her two front teeth and it is our hope that by removing the flap of skin under her upper lip, and as her adult teeth come in, that will help to close the gap. She may still have to have some orthodontic work, but by performing the frenectomy now, that will allow for more “shifting” of her teeth as her permanent teeth grow in. Dr. Korenman is known as the “Listening Dentist” and I would also say he is the “Gently Explains” dentist. I think all of this explanation and Dr. Korenman’s gentle nature helped my daughter to remain calm during the entire procedure. It was fascinating to watch and I’m thankful Dr. Korenman has invested in the latest dental technology to be able to conduct these types of services painlessly. Thank you Dr. Korenman for taking great care of my daughter! Despite the common risk factors, EVERYONE is at risk REGARDLESS of their risk factors. Dr. Korenman uses the ViziLite Plus, which is a 5-minute test that uses fluorescent light to help dentists spot abnormal changes in the mucous membranes that line the inside of the mouth and throat. Technology is the key to making company operations faster and more accurate. 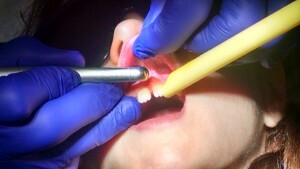 Dentistry is no exception. 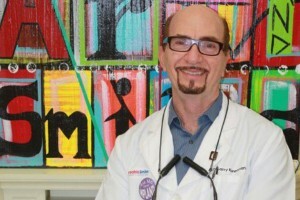 Dr. Korenman of Loveable Smiles has invested in the latest dental technology that allows him and his team to see things that normally go undetected. Using the NewTom VG3 Dental CAT-scan Dr. Korenman is able to obtain limitless, 3D views including between the teeth, under the gums, in the bones and even nerve canals and sinuses can be seen. This allows Dr. K to completely diagnose and provide full treatment options. Patients are now able to clearly see for themselves what is present as Dr. Korenman shows them in understandable terms. Here’s how the staff at Loveable Smiles provides a personal & comforting touch along with all their dental technology. We will NEVER cause you pain. Korenman is dedicated to reversing the trend of miserable dental events. Dr. Korenman and his team encourage their patients to raise their “dental finger” if they are experiencing any discomfort. This is the left index finger and if you raise it, Dr. K will immediately stop work and will do any adjustments necessary to make you more comfortable. We will always answer our phone. Our dentist, Dr. Larry Korenman even calls all of his patients the evening of their procedure and he provides his cell phone number to them in case they have any issues. We have a dentist who will listen. 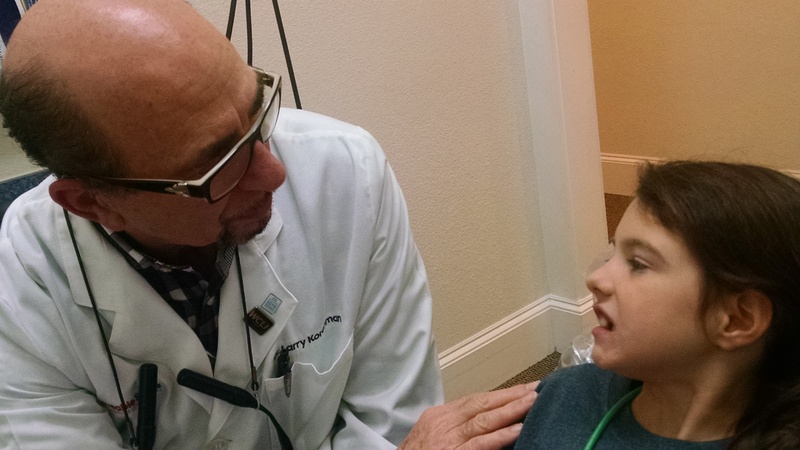 Korenman is referred to as the “Listening Dentist.” And patients really appreciate his willingness to listen to their concerns and fears. Your time is valuable to us. We don’t over-book our schedule and we promise to see you on time. No surprises. We explain all treatments and fees for prescribed treatments so there are no surprises in the bill. Even if it’s been a while. If it’s been some time or even a long time since your last appointment, we want you to know that we never will scold you or make you feel guilty about that because we are just glad to see you. We are here to serve you for a healthy future. It is our daily commitment to treat people, not just their teeth. Loveable Smiles is the only dental office to have received the North Texas Business Ethics award from the Dallas Business Journal. 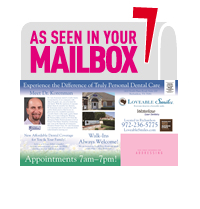 We invite you to have an enjoyable and painless dental visit at Loveable Smiles in Richardson. Please call 972-231-0585. 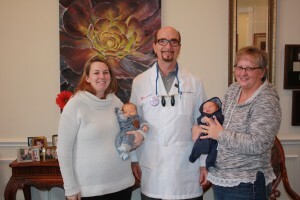 Thanks to laser technology, Dr. Larry Korenman of Loveable Smiles in Richardson, TX has been helping infants who have trouble nursing due to tongue-tie and lip-tie issues. Here are more photos of babies Dr. Korenman has been able to help recently! The Laser Frenectomy at Loveable Smiles in Richardson uses cool water during the procedure. There is virtually no bleeding, no pain, no risk of infection and the healing is almost instantaneous for infants. The procedure takes less than 1 minute. 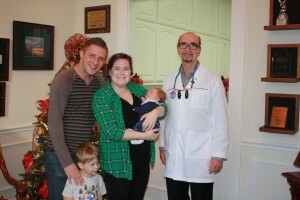 Dr. Korenman was featured on WFAA Channel 8 about the service. To schedule a consultation to check your baby for a lip or tongue tie, please call our office at Loveable Smiles at 972-231-0585. This blog post is part of a series of Total Health Dental Care articles to inform our readers about the connection between your oral health and your overall health. If you are pregnant, no doubt you are constantly bombarded with tips, advice and opinions. Here is a tip to safeguard the health of your baby; please, go see your dentist. There is a link between uncontrolled gum disease (once again, mom may not even know she has gum disease) and pregnancy complications such as premature labor and preeclampsia (rise in blood pressure). 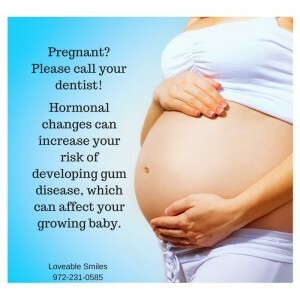 A study exploring the possible link between gum disease and preeclampsia found that 50% of the placentas from women with preeclampsia were positive for one or more gum disease pathogens. periodontal problems as the acid dissolves away the protective coating of teeth (enamel) leaving them weakened and at a very high risk of needing extensive (and expensive) restorations. 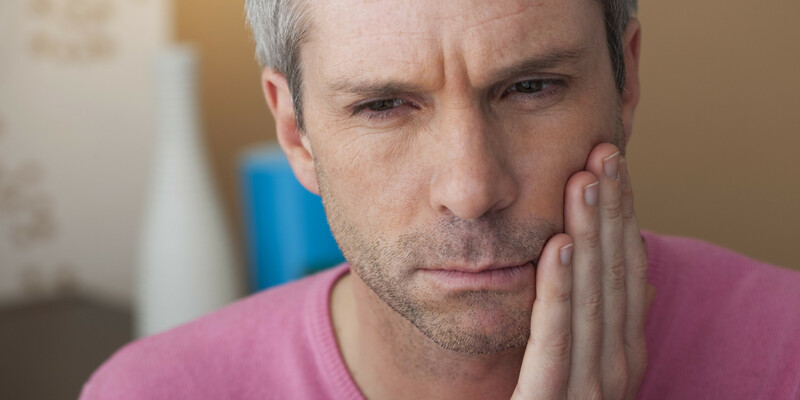 Many cancer patients develop complications that affect the mouth. These mild to severe side effects can include mouth sores, infection, dry mouth, sensitive gums and cavities. 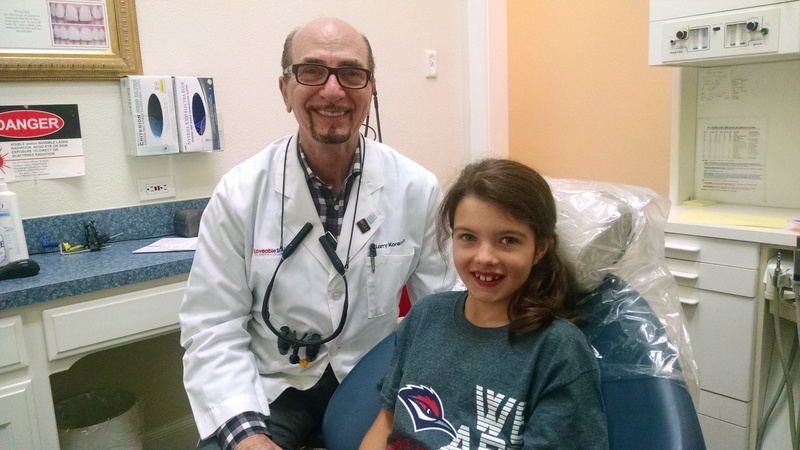 As a courtesy to the community, Dr. Larry Korenman of Loveable Smiles in Richardson offers complimentary fluoride trays for anyone going through chemotherapy treatments. Because chemo can make your mouth more at risk for infection as well as make your gums bleed more easily, fluoride is used to help prevent the formation of cavities. Dr. Korenman carries a natural, oral care line that is very soothing for those going through cancer treatments. The line is also beneficial for the dry mouth side effects often experienced by cancer patients. 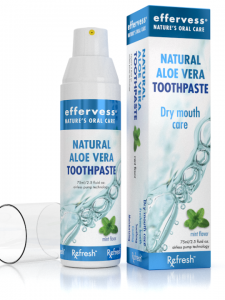 Developed by a Dentist, the Effervess Natural Oral Care line does not contain any hydrated silica or baking soda, no SLS and no harsh chemicals. In fact, the products are called “Nature’s Oral Care” because they feature Aloe Vera, which is an ancient plant known for healing, moisturizing and antibacterial and anti fungal properties. 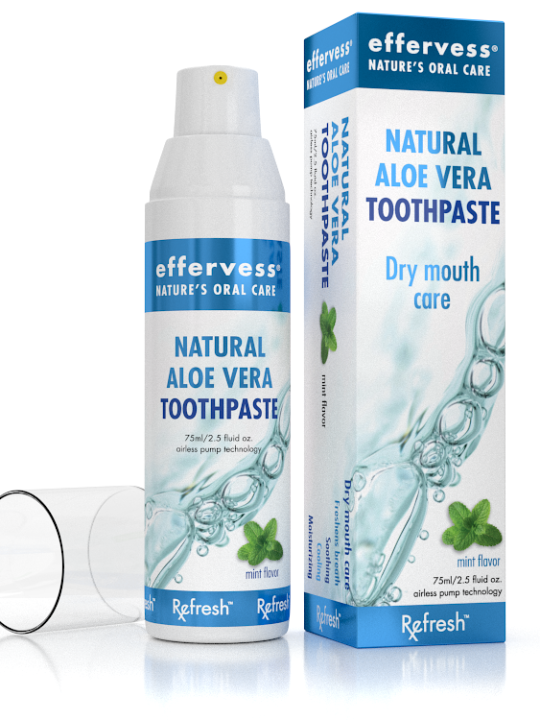 Effervess also contains Xylitol a natural sweetener from American Birch Bark found to help fight plaque build-up and strengthen enamel. 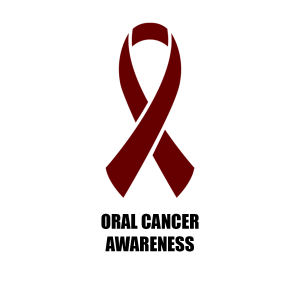 Every hour of every day one American dies of oral cancer. Despite those common risk factors, EVERYONE is at risk REGARDLESS of their risk factors. 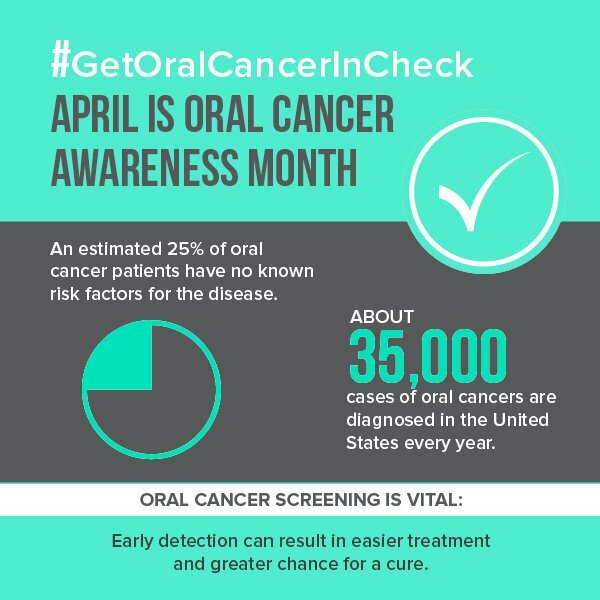 Dentists are often the first line of defense against oral cancer as they are the only doctors to examine you from the neck up. The chances for successful treatment are highest when early diagnosis allows this. 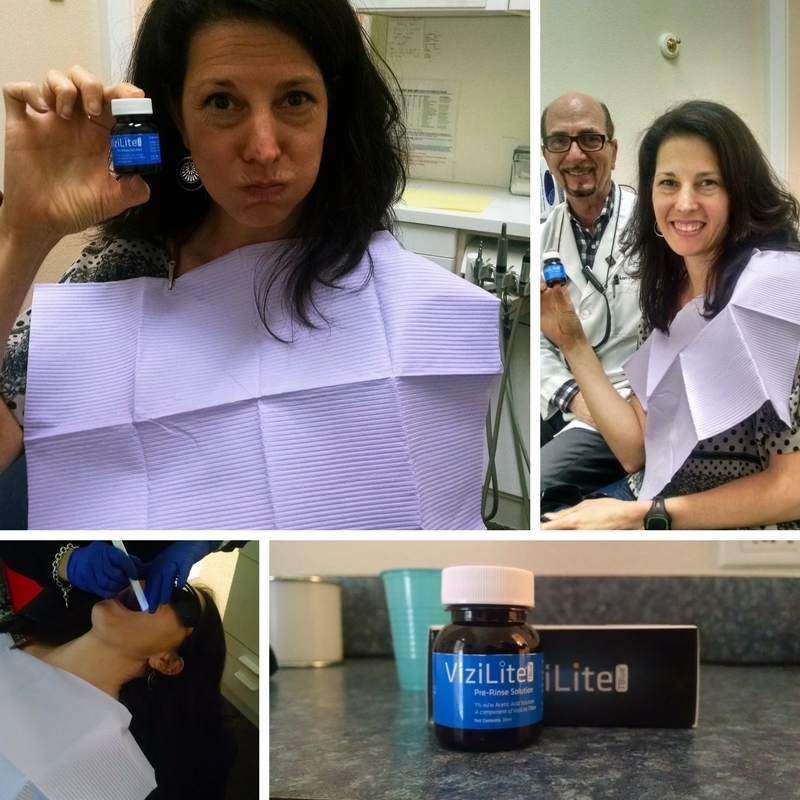 Dr. Korenman uses the ViziLite Plus, which is a 5-minute test that uses fluorescent light to spot abnormal changes in the mucous membranes that line the inside of the mouth and throat. We simply use the Vizilite Plus rinse and the special fluorescent light to inspect the oral/pharyngeal area, and we will palpitate/massage the neck (thyroid) to check for any abnormal lumps. The entire screening takes less than 15 minutes.